MIMS Learning is the online resource supporting best practice in primary care. If you use the Clarity & RCGP Appraisal Toolkit for GPs, you can export evidence of your learning to your appraiser with one click. Within your CPD organiser, click the `Add to Clarity' button on activities you've undertaken to export your CPD certificate and any notes that you've made. To find out more, visit our simple guide to using the link to the Clarity & RCGP Appraisal Toolkit for GPs. export your learning notes for appraisal either as a simple export or via the Clarity & RCGP Appraisal Toolkit for GPs. To find out more see our user guide. Our guidance updates, formerly known as MIMS Learning Essentials, bring you updates on all the latest guidance from NICE and other key national organisations. MIMS Learning membership includes 50+ hours of CPD focused on national clinical guidelines relevant to GPs - what's new, what to do differently in your practice and how to deal with areas of uncertainty. All articles are written by expert GPs and provide a relevant, focused update on what the guidance means to you. As well as articles, we offer downloadable PDFs, signposts to further resources and training tools such as slide sets to use in your practice. MIMS Learning is published by the Haymarket Media Group, publishers of MIMS, GPonline and Medeconomics. You can contact MIMS Learning staff here. Our GP advisers for MIMS Learning include the following. 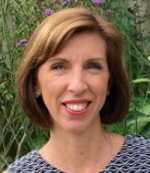 Dr Newson is a GP in the West Midlands with a special interest in women's health. She works as a medical writer and editor and runs training courses on menopause. She has also set up a website for healthcare professionals and patients about menopause. 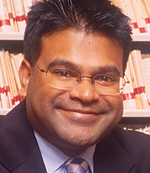 Dr Ramanathan is a GP in Ealing, London. He is a GP trainer and GP appraiser and is a regular writer and adviser for MIMS Learning. 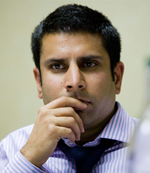 Dr Thakkar is an NHS GP in Wooburn Green, Buckinghamshire, and cardiac lead for the Oxford Academic Health Science Network. He is clinical commissioning director and chair (planned care) for the Chiltern and Aylesbury Vale CCGs. MIMS Learning is tailored specifically to the clinical educational requirements of healthcare professionals in primary care. Opportunities with the brand provide content, sponsorship and advertising exposure. To find out more contact our advertising director Rob Jones at rob.jones@haymarket.com, Tel: +44 (0) 20 8267 4481. To find out more about advertising and sponsorship opportunities with MIMS Learning please visit our advertise and sponsor page here. The clinical advice and recommendations within MIMS Learning articles and presentations are for general information only, and should not be relied on as the sole basis for diagnosis and treatment.